While prices of goods are going up, job salaries are stagnant. Most businesses are tight and everyone is looking for ways to live economically. One way to save money is to keep your car’s proper maintenance. And where’s the best place to start than the tires that supports the motion of the car? This article will tackle the things that we can do to preserve our tire tread for a longer period of service. 1. Always check your tire pressure. Friction from driving down the road increases the heat or air pressure in a tire. Make sure that you’re still driving with the suggested tire pressure provided by the car’s manufacturer. By having a regular upkeep, you help cut down on the friction between the car and the road you are driving on, consume less fuel and prevent you from hurting the tires. 2. Rigorously rotate your tires. As each tire carries a different load depending on the passengers and things accommodated by the car, rotating your tires will help your tires wear evenly. This means changing where the individual tires are mounted on the vehicle. Since the front tires generally wear much more quickly than the rear ones, it’s a good idea to interchange them regularly before considering buying new ones eventually. 3. Always check your tires for foreign objects. Foreign objects often penetrate our tires due to the roads we travel on. Examples are small rocks, gums, wires, broken pieces of glass, pins and other debris which are attached to the tires. These objects will damage the tires and they can be causes of tire explosion which can lead to accidents. Most people find it harder to walk on rocky roads that sometimes spoil their footwear. The same is true with cars. Driving on rough and bumpy roads can damage your tires. As well, the dirt or gravel will reduce your gas mileage up to 30%. Realize that you are not king of the road; moderation is. Don’t step on the gas further than what is needed. Step on the brakes with ease. Also, traveling fast in low gears puts heavier weights on tires and can consume up to 45% more fuel than is needed. Tires are what hold the body of the car. Maintaining them well can be a matter of life and death, both for you and your vehicle. Take proper care of your tires and preserve them by conducting regular and consistent checks. Maintaining your car will require tools and equipment. For these needs, you can check out Harbor Freight Tools, which carries power tools, automotive maintenance tools, gardening supplies, and such. Air compressors at Harbor Freight are one particular set of tools useful for any car owner, in cleaning out dust and particles from the engine bay, and for checking tire inflation. Barbie Lee is an open-minded woman with boundless interests. She is a lover of animals, a fan of great music, and an enthusiast when it comes to fast, furious and feisty automobiles. When she isn’t cheering for her favorite basketball team (Go Mavs! ), she’s busy writing for the blog site, Automotive Part Suppliers. The best car insurance in the Philippines for 2012 is a comprehensive insurance policy. Third party liability insurance is mandatory by law, but that is not enough to eliminate all the risks involved in driving. A comprehensive policy will cover bodily injury, property damage and unnamed passenger personal accident. The car is protected and the people in it are protected. There is also total protector insurance that includes the compulsory third party liability and loss or damage of car and theft as well as protection from acts of nature such as an earthquake, typhoon or flood. Then there is also finance available for loans for people with bad credit. It can also give legal assistance and bail bond, road assistance, towing expenses, a waiver of deductible and depreciation as well as many other options. What to do in case of flooding? The recent onslaught of typhoon Ondoy (international name: Ketsana), which left majority of Metro Manila and outlying cities flooded has resulted in the loss of many lives, homes and property. Part of this is the flooding of automobiles. Some had been fully submerged. Some partially submerged. And many others had to pass through floodwaters, probably stuck in traffic or just to get to higher parts of the city, to avoid further damage. 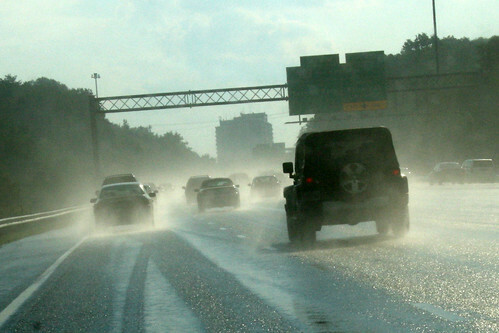 What should a car owner do in the event that his or her vehicle is submerged in flood waters? 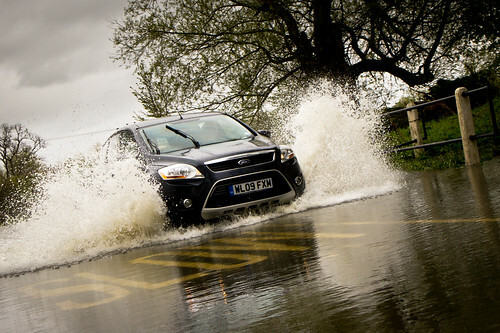 The best way to deal with flooding is to avoid travelling at all. But if you really have to brave the floodwaters, then here are a few tips, mostly based on an article I wrote for Study Driving some time back. Turn off your air conditioning–both the thermostat and the fan. In the event flood waters reach your aircon system while it’s running, it will be costly to clean and repair. Use other cars as a reference when checking for depth. If the flood waters are up to halfway of the wheels, then it’s probably still safe to pass through. If it’s already reaching past the wheels, then there’s a high likelihood that the waters will enter the cabin and also the engine bay. Check for possible obstacles and changes in depth. With floodwaters, you won’t be able to see the sidewalk or any open manholes. It’s easier to wade through flood if you’re driving a manual transmission vehicle, since you can “play” with the engine revolution by adjusting the clutch and accelerator pedals while moving forward. You need to make sure your engine is revving enough such that water will not enter through the tailpipe. So stick to first gear and keep the engine revved to at least 2,000 RPM until you are sure you’ve exited the waters. If you’re driving an automatic transmission vehicle, be sure to stick to first gear, too. Do this by selecting “1” or “L” on your gear selector. You can probably “play” with engine revolution by shifting the gear selector across N to 1 to you rev up the engine without moving forward, in the event that you need to stop while in the middle of the flooded street. Make sure the water will not reach up to your engine’s air intake. Once water gets in, your engine will choke as it will no longer be able to combust fuel. Some diesel 4×4 vehicles have snorkels that act as air intakes. Since these are located up high, you can theoretically submerge the car in roof-deep waters, for as long as the snorkel is above-water. But of course, most of us drive regular cars, and not flood-proof 4x4s. Be sure to check or dry out your brakes right afterward by tapping and pumping to check if they “bite” properly. Based on discussion threads on Vios Club Philippines and Tsikot, here are a few things you should keep in mind if your car gets submerged under flood water while running or while parked. Don’t attempt to start the car. You have to make sure the engine is not waterlogged. Disconnect both terminals of the battery. If water has reached your car’s computer box (ECU), it’s best to have your car towed to the casa or service center without delay. You will probably not be able to do any DIY fixing here. Uninstall the air filter, and dry out. You may also replace this if replacement is due anyway. Dry out all electricals, especially the relays, plugs and other switches before plugging the battery back in. Check your oil dipstick. If it’s coffee-colored (with cream! ), then it means water has entered your engine’s cylinders. Oil will have to be changed several times, for this to be flushed out. Have all joints and bearings re-greased. Have spark plugs dried or replaced. Look for drain plugs underneath the car’s carpeting, and also the trunk (usually under the spare tire well). Be sure to dry out the car in the sun, weather permitting. Have your car’s interior detailed, as the flood will most likely leave mud and other stains inside. Worse than this is the musty, murky smell that water ill leave inside the car. If in doubt, have the car towed to the nearest service center or casa. Repairs for flooded vehicles would usually involve replacement of electrical parts, replacement of spark plugs and fluids, cleaning of the interiors, and additional rustproofing or undercoating (as flooding would be one reason for early corrosion). Most insurance policies do not automatically cover “acts of God” or “force majeure,” so be sure to check with your insurance provider if you can file claims for repair or replacement of a flooded vehicle. Most would cover for AOG with a premium, but some would include this as free in the policy. I’m pretty sure insurance companies will be deluged with calls from car owners as an aftermath of the storms. Has your car been flooded by the recent typhoon? The staff of Pinoy Auto Blog extend our sympathies, especially for families who have lost lives, homes and properties. 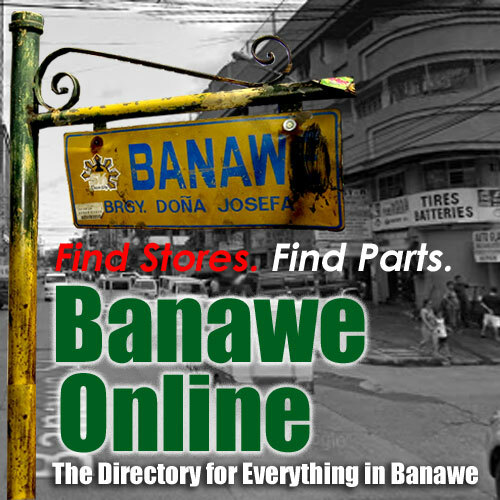 We will be joining online relief and rehabilitation efforts soon.